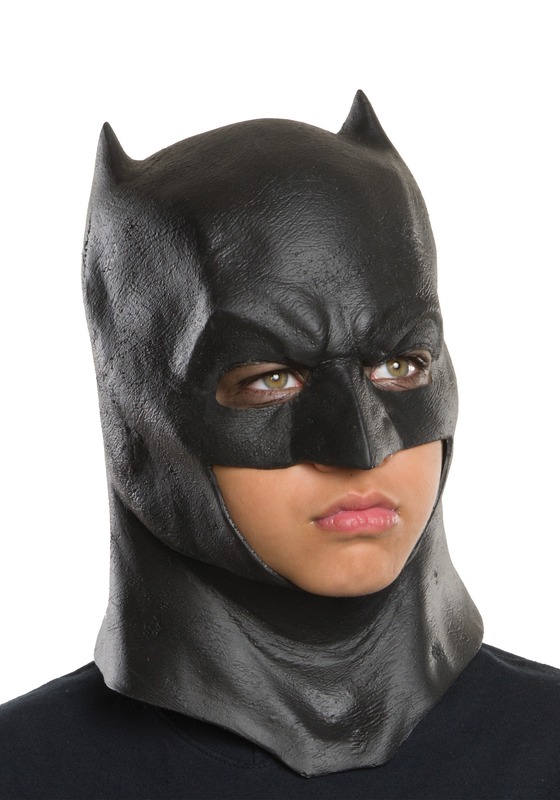 We know that you've been secretly training your child to fight against crime in Gotham City. Don't worry! We'll keep your secret safe, but we would like to give you few pointers on how to get him ready to face off against the worst villains the city has to offer. The first piece of advice we have is to make sure that he speaks with a deep, gravely voice. Ben Affleck does it in the movies and that's a good enough reason for us to believe that it's a pretty good idea. Second, you should teach your kid some cool martial arts moves. He's going to need them if he wants to battle it out with guys like The Joker. Lastly, get him a cool mask. He needs to protect his identity from all of his foes and a Batman-style mask is just the kind of thing to do it! Based on the Batman v Superman movie, this Dawn of Justice Full-Head Batman Mask brings you the style seen in the film. With molded details and pointy ears, it helps give your child the intimidating look of DC's greatest superhero. Once he has it on, he'll be able to protect his identity AND lay down the law with his new-found superhero style.